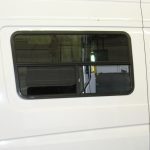 We look forward to enhancing your Sprinter Van conversion experience by making sure you are fitted with the very best windows sold on the market at a value you will appreciate. 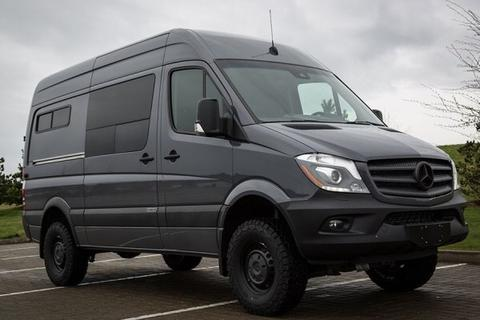 With over 30 years of experience in the industry, our reputation as the leader in quality is unmistakable. 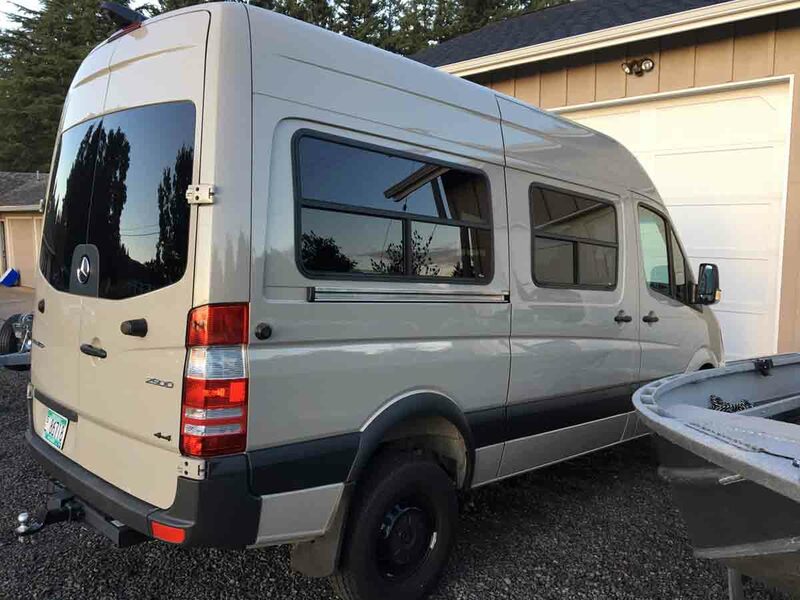 The “camper-style” recreational vehicle aftermarket windows we offer for the new Sprinter are only available in the styles and sizes attached. 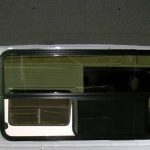 These Sprinter windows are not intended to replace factory glass. 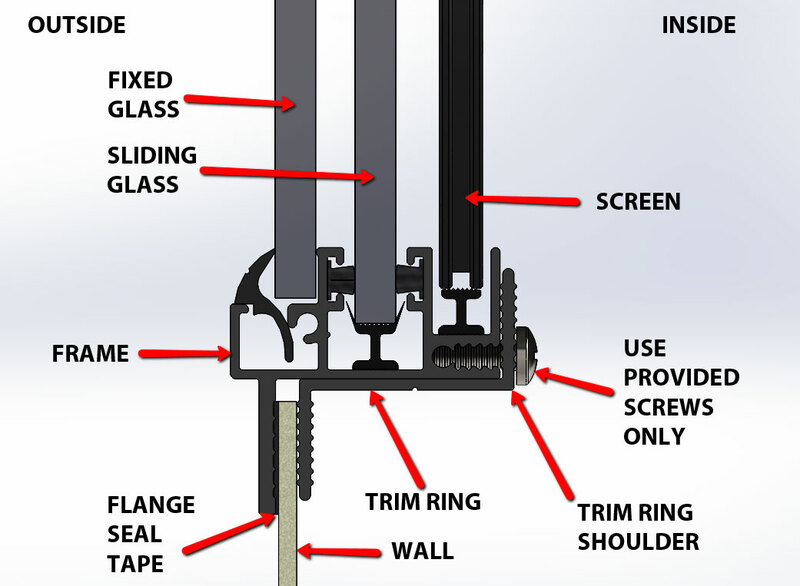 A new cut out in a blank panel is required for installation. 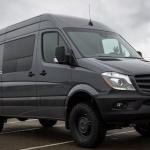 Our manufacturing lead time is seasonal but is generally running about 30 days from order to ship date. 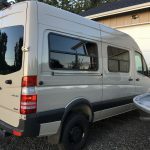 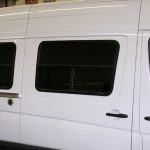 New windows for your Sprinter are manufactured using high quality automotive powder coated aluminum extrusions and suited with either clear (upon request) or dark automotive greylite 14 tinted (standard) 1/4″ solid tempered safety glass. 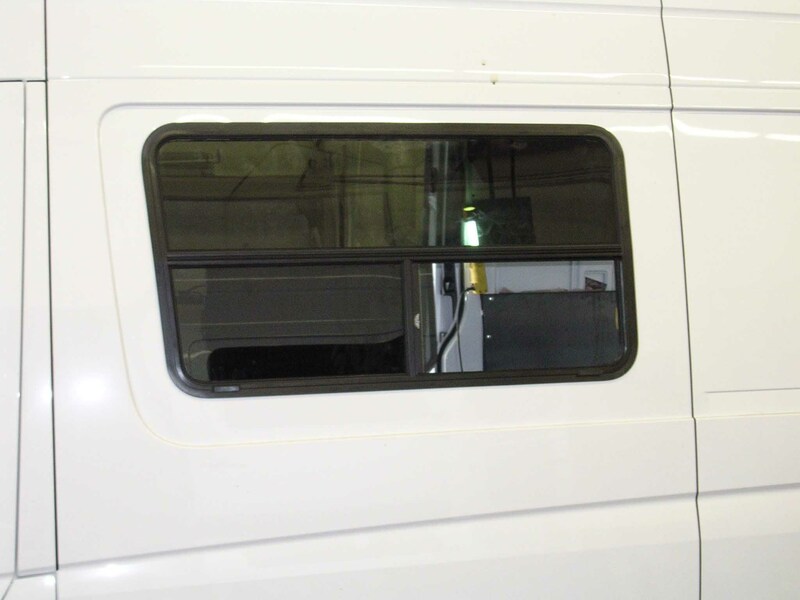 The side sliding door window and forward driver’s side window are built in a t-slide configuration—the top half of the window is fixed—the bottom half slides horizontally (this allows us to uniquely contour our frames to match the van’s sidewall curvature). 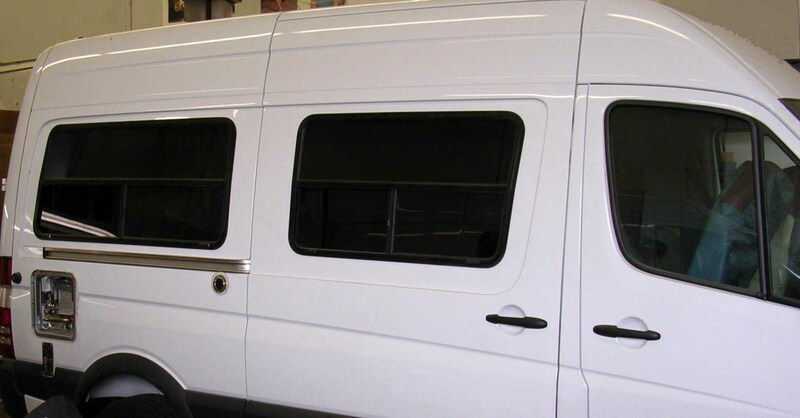 Standard features of the Sprinter Van windows include sliding screens, interior clamp-rings and black color keyed stainless steel screws for installation. 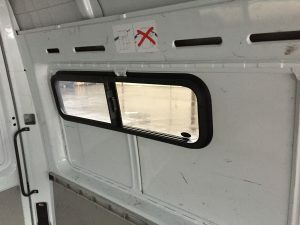 Exterior Flange Dimensions: 43-1/2" x 25"
Interior Frame-Fit Dimensions: 42-0" x 23-1/2"
Exterior Flange Dimensions: 38-3/8" x 24-7/8"